Use your mobile phone to shop healthier, be healthier! 1. 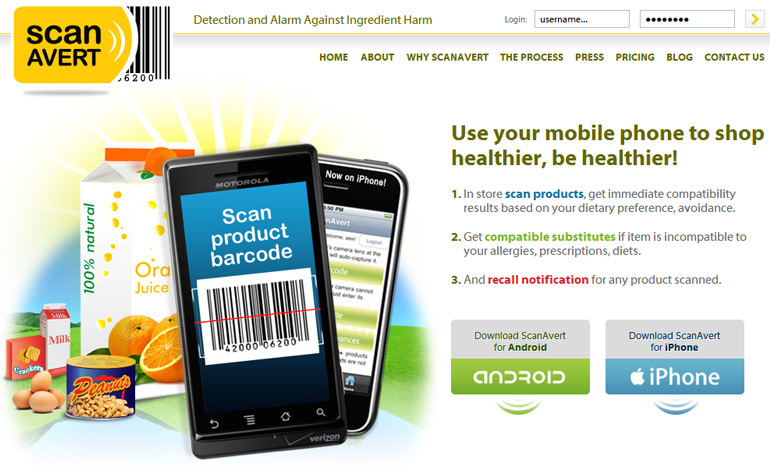 In store scan products, get immediate compatibility results based on your dietary preference, avoidance. 2. Get compatible substitutes if item is incompatible to your allergies, prescriptions, diets. 3. And recall notification for any product scanned. © 2003-2019 Virtual Innovative Enterprises Corp. www.vie-corp.com. All Rights Reserved.